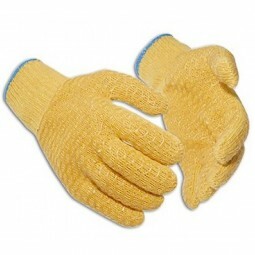 Machine knitted polycotton yarn liner with clear pvc criss cross pattern on palm & back for enhanced grip. Elasticated knitwrist for secure fit. Applications:General handling, Transportation, Warehousing, Construction.